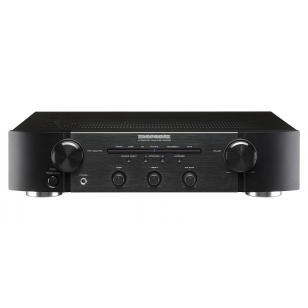 The Marantz PM5003 integrated amplifier is the first in its class to offer the current feedback architecture, which has so far been used in far more expensive models. This technology offers very fast and accurate signal handling, which results in a very open and precise music image. The PM5003 opens the new range of Marantz integrated amplifiers and offers music lovers high sound quality and flexibility.